Arhhh your prepared for Mashup-Germany – Vol.3? 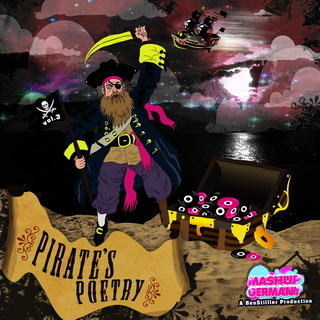 This is “Pirate’s Poetry”, a collection of 200 Tracks mixed in 34 Mashups. This is the Mashup-Germany – Vol.1 Sampler with many of his 2008/2009 Mash-ups. der erste Mix lässt sich noch runterladen, die 2 weiteren nicht weil DL-Links Offline. :-( ReUP?